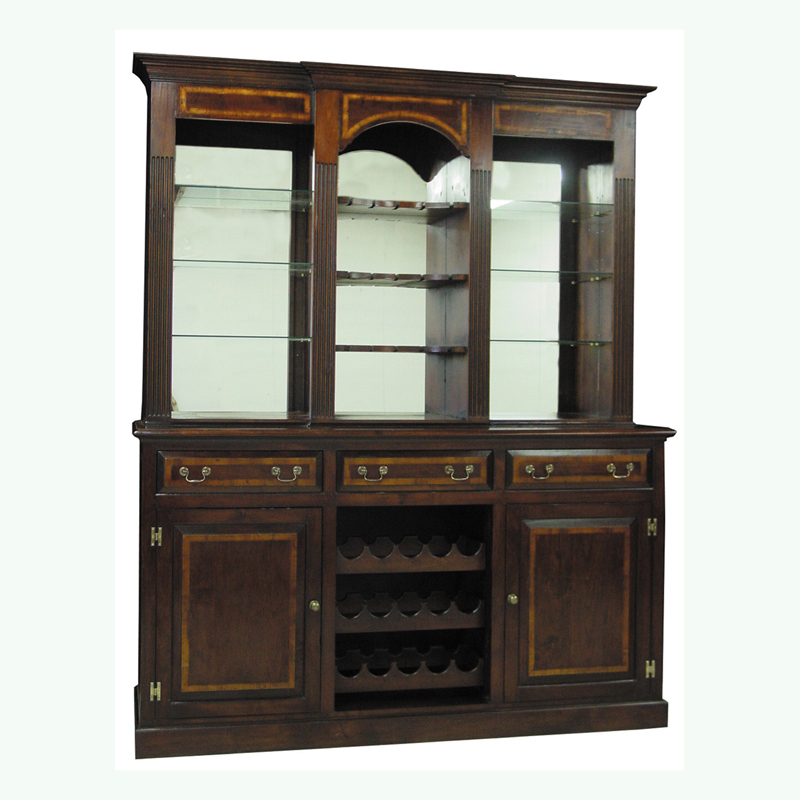 Mid cherry finish, yew wood banded back bar with wine storage rack, 2 cupboards & glass shelves. 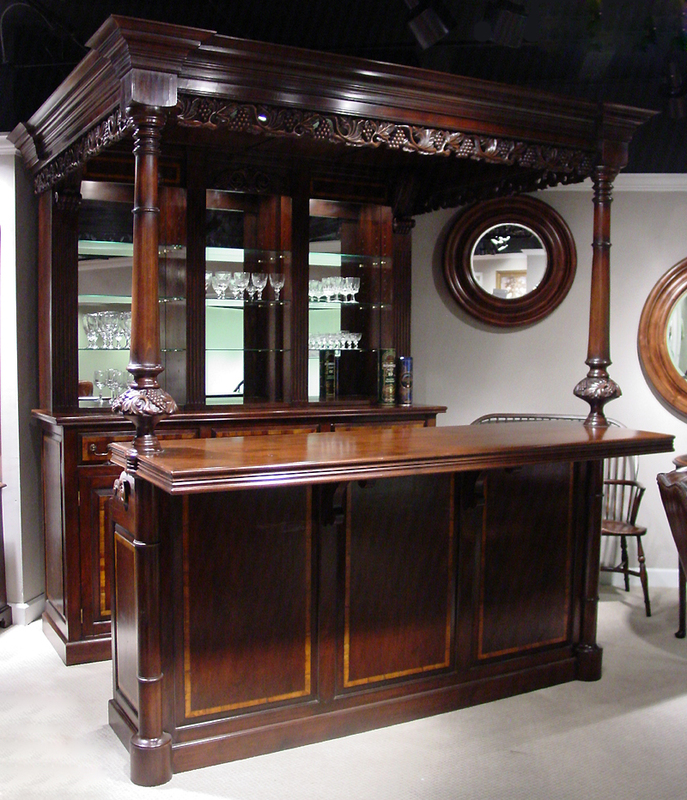 Mid cherry finish, yew wood banded canopy bar with carved grape detail with wine bottle racks & glass shelves. 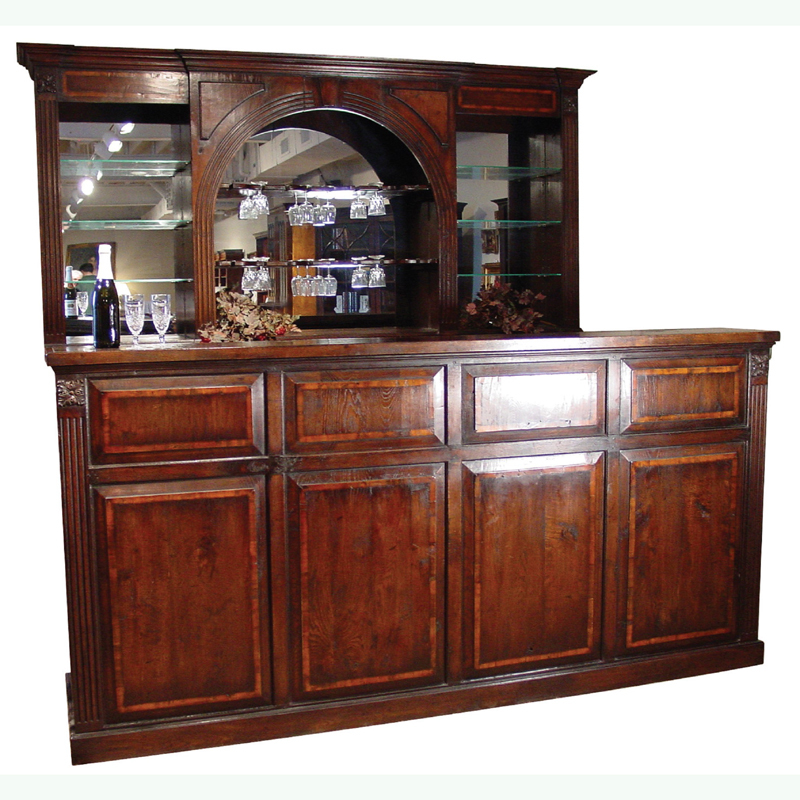 Mid cherry finish, yew wood banded canopy bar with wine storage rack, 2 cupboards & glass shelves. 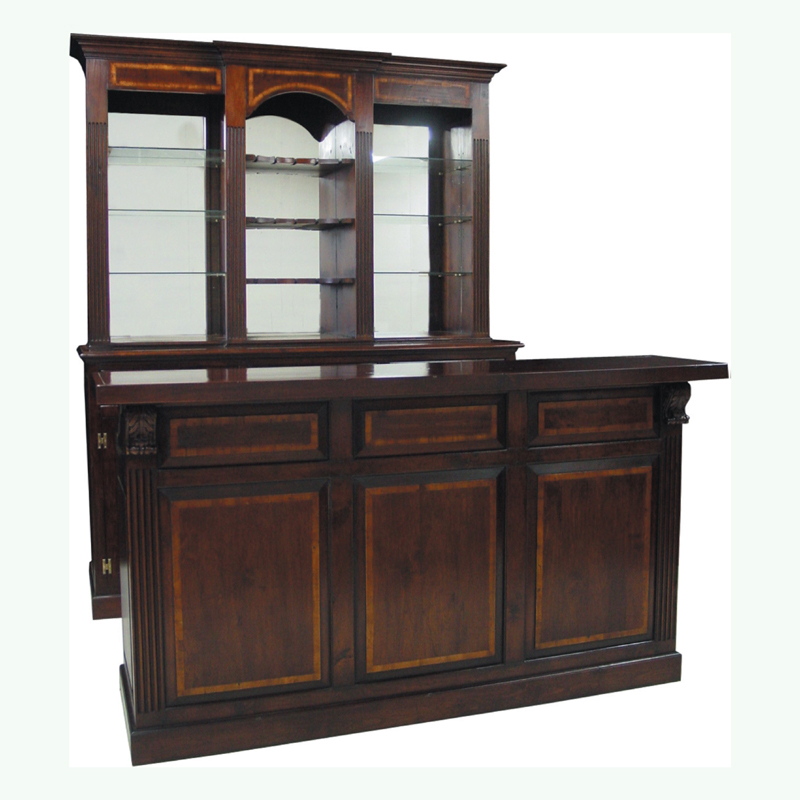 Mid cherry finish, yew wood banded front bar with shelf. 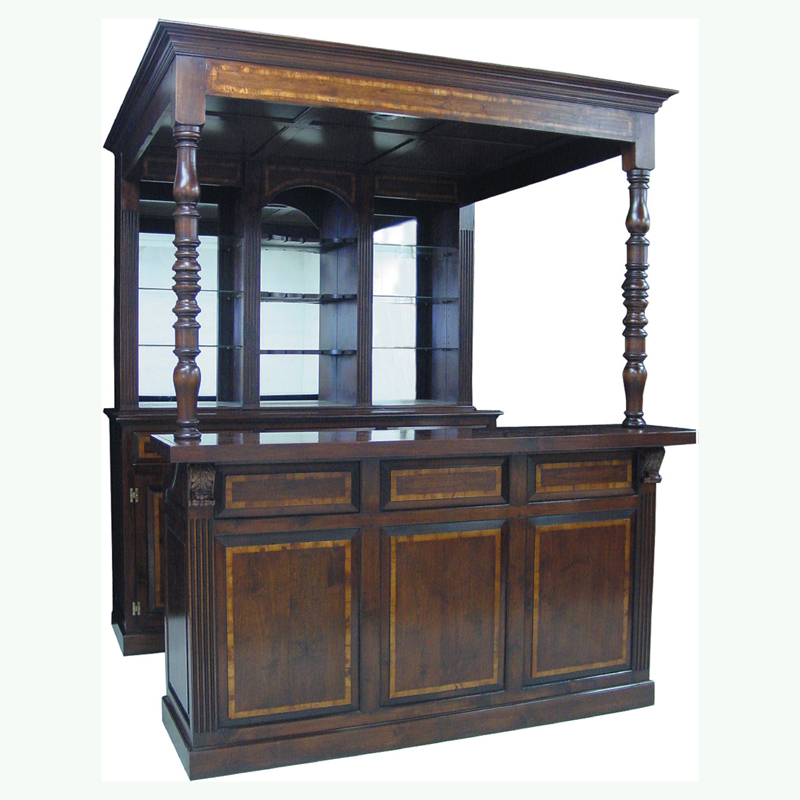 Shown with BMS104 Back bar.